Posting of “For Slim Only Stickers” on dashboards or passenger areas of public utility vehicles like UV Express vans is now considered a franchise violation, according to the Land Transportation Franchising and Regulatory Board (LTFRB). After receiving complaints from several passengers who saw the stickers, LTFRB member Atty. Ariel Inton said that these stickers are discriminatory. “It may sound amusing, at first, but this is clear discrimination against passengers, and this is prohibited under the Joint Administrative Order No. 2014-01 of the Land Transportation Office and the LTFRB,” he said. 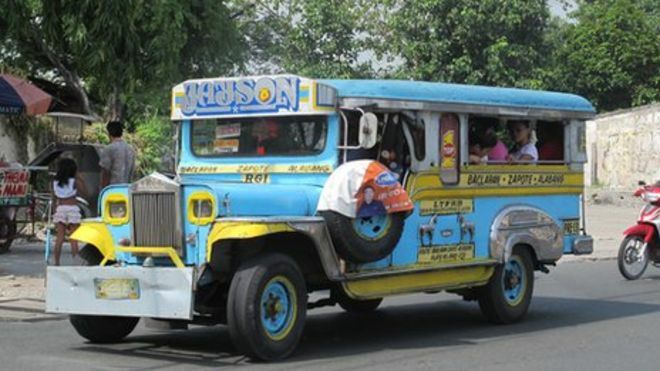 According to Inton, drivers who refuse to render service to passengers due to discrimination is a violation of traffic rules and regulations under the administration order. This could also cause the suspension or cancellation of a PUV’s franchise. Driver or operator found guilty of violating this rule will be fined P5,000 for the first offense. Meanwhile, the driver or operator will be charged P10,000 and the PUV will be impounded for 30 days, for the second offense. A fine of P15,000 will be imposed on driver or operator found guilty for the third and subsequent offenses. The certificate of public convenience may also be canceled. Inton stressed that the “Slim Only” policy just aims to accommodate more passengers in the front seat. Moreover, discrimination based on gender, age and physique violates several anti-discrimination laws in the country. The “ladies only” policy for the front seat is also considered a violation against the law. However, Inton clarified that drivers may give priority seating to certain sectors. “There are passengers you give priority to, like PWDs or senior citizens. But never discriminate based on size or physique or gender. To give priority is to accept passengers. To discriminate is to refuse them,” Inton explained.